Hey my stampin' friends! I'm going to be sending an order in tomorrow that includes some of these items so if you'd like to tag along with me to save on shipping let me know asap! 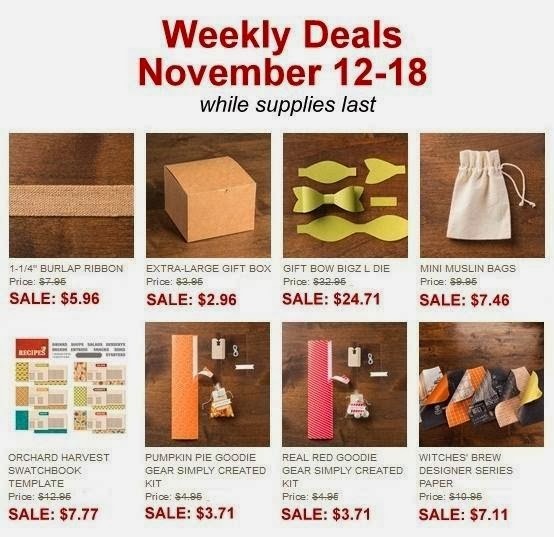 I've been waffling on the bow die for awhile, but just in the past week I found 3 different ideas that used it in alternative ways .....and now it's on SALE! I sure hope I haven't waited too long....and it's sold out!